So, you want to install the super-awesome pfSense® software on your shiny new net6501 board, but you’re having some troubles? This might be because the net6501 is a newer device, which requires write caching and DMA to be enabled in order to be able to access the mSATA drive correctly. If DMA and write caching are not enabled, the BSD boot loader will most likely hang during boot. Copy the pfSense® software image onto your mSATA drive. 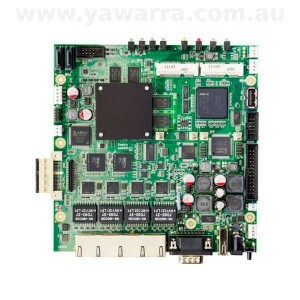 Look for one that is the same size as your mSATA drive. Insert your mSATA drive into the net6501 board. Connect to the serial console on the net6501 and set your terminal speed to 19200 baud. Apply power to the net6501. While the net6501 is rebooting (you’ll see garbage on the screen), turn off the power to the net6501. Change your terminal speed to 9600 baud. Apply power to the net6501 again. Before you do anything else, you need to create a loader.conf.local file to avoid the net6501 from hanging the next time that you reboot. Interrupt the boot loader with CTL+C as before (Step 3). Copy the Rident image onto your mSATA drive. If that all sounds too hard, then you can always get us to pre-install Rident for you when you buy an net6501 server from us. Have fun playing with the pfSense® software on your net6501!